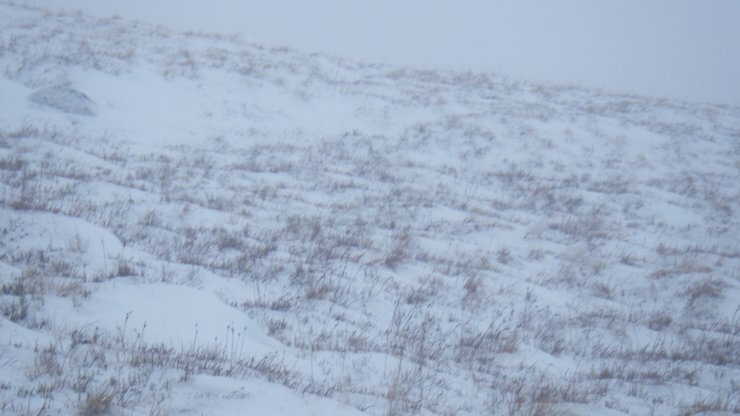 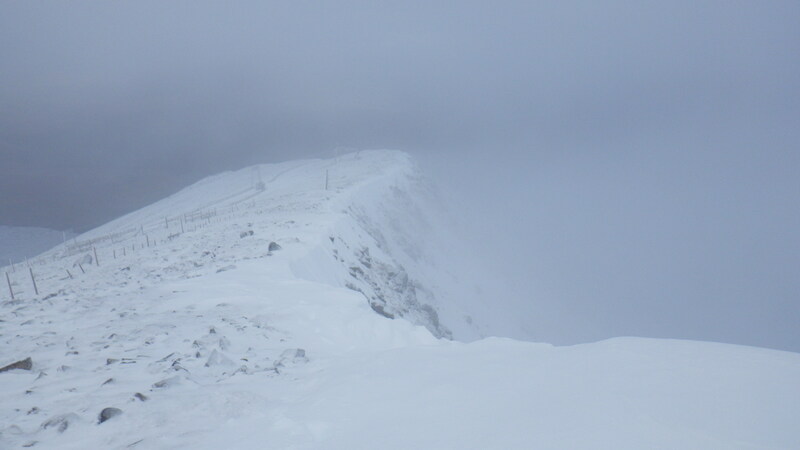 A front passing over this morning gave poor visibility and a little fresh snow. It started to clear up as I was heading down. 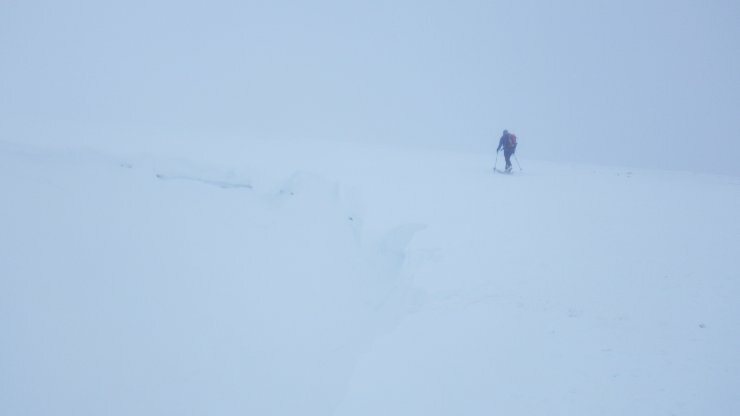 The top of Easy Gully, Aonach Mor. 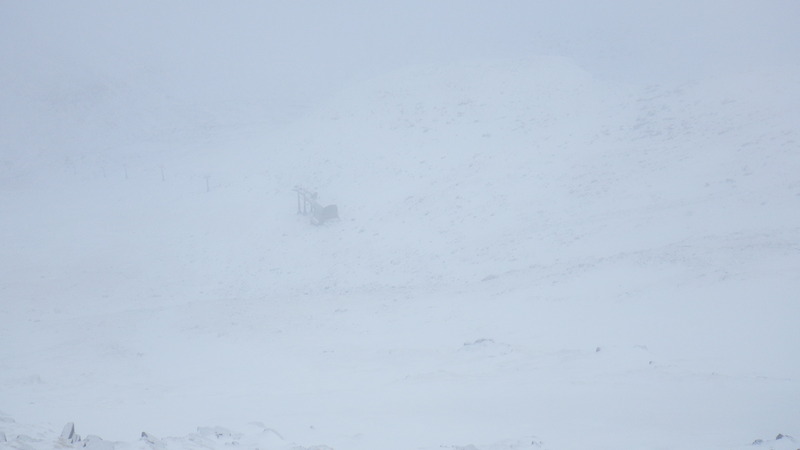 Conditions on the Aonach Mor plateau. Looking down into Coire Dubh, Aonach Mor with the top of Braveheart chair just visible. Snow and some cornice build up round the rim of Coire Dubh, Aonach Mor. 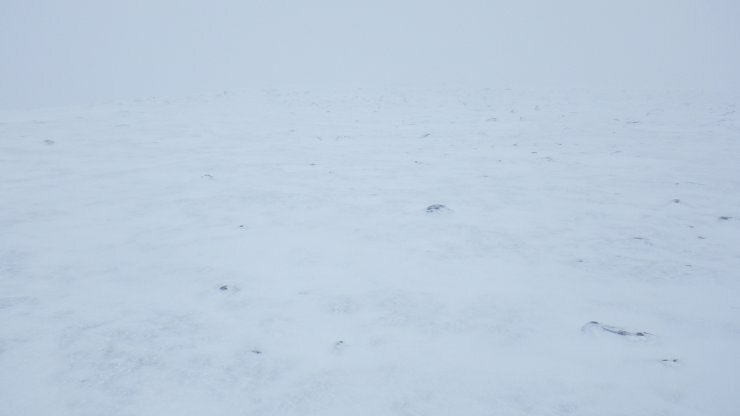 The view improved in the afternoon. 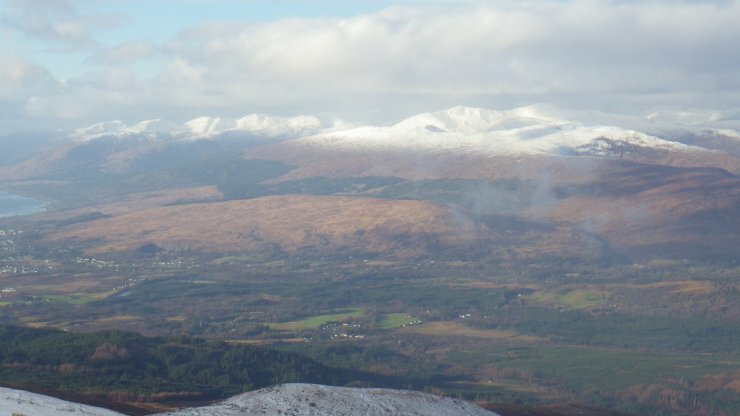 This is looking North-West from Aonach Mor to the hills North from Loch Eil and Glenfinnan. 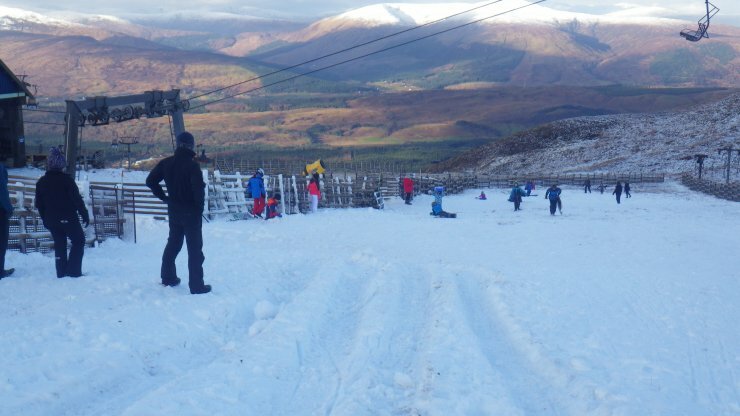 Sledging was popular on a mix of natural and snow cannon snow.